Which Homeopathic Remedy Kit Should You Buy? Did the title regarding “free birthday stuff” catch your attention? I’m sure it did :). Yes, I have shown my viewers completely random ideas and posts in the past that are not directly related to homeopathy and/or natural and holistic health, such as an effective method to losing 10 pounds. But I think that this offer of giving away free birthday stuff tops the list. Yet as you will see very soon, not only is this not a joke whatsoever, but this can be a great emotional boost for either yourself or others. There’s no gimmick or scam behind this. And who doesn’t like sending/receiving free birthday gifts anyways? The process of receiving free gifts is relatively simple and is run by an organization called Huledet. Huledet’s entire goal of being is to enable you to send birthday gifts to ANYBODY. That means to friends, family, your wife, girlfriend, etc. Therefore you can send a gift without paying a single penny. Through signing up for free with Huledet, you can send a wide spectrum of gifts to any person of your choice. The gifts can include things such as tickets, spa treatments, restaurant coupons, store-relatd items, and other types of physical gifts, which are received via email. The only catch is that you cannot actually pick the gifts. Huledet sends the gifts to your recipient of choice randomly. So for those who enjoy surprises, this is great. Otherwise, it can be a bit annoying, but the gifts are still generally awesome nonetheless. Note: For those who are consume only kosher food and products, some of the gifts include vouchers to kosher restaurants as well. Fill in your information on the right side. On the birthday of the person you want to send gifts to, they will receive their gift in an email. The only information you need to fill in are names, email addresses, and birthday dates. And don’t worry, Huledet doesn’t spam. I just signed up with them a few weeks ago as of this date, and I haven’t received any spam emails at all. There are many practical reasons why it makes sense to send free gifts through Huledet. Considering that you can sign up in advance of a birthday, the gifts will be sent automatically in time. That way you won’t forget. There are definitely more practical reasons to do this. But on a deeper level, you can really impact A LOT of people in a very positive way. Whether the reason is just to give out a simple birthday gift to a loved one or otherwise, giving gifts in general establishes a connection between two people or groups. When one person sends a gift to another, it shows that the sender cares and sees the receiver as being so important in their eyes. So much so that the sender must go out of his way in order to show the receiver his/her love and affection for him/her. It shows that that person thought of you. He or she cares about you and only wants to see you be content and positive. And it shows that he or she is always thinking about you and only wants the best for you. Now of course, materialism doesn’t buy and guarantee happiness. The point here is that when you can send a gift to another person (or vice-versa), that action acts as an extension of your already existent admiration and thoughtfulness for that receiver. This encourages true closeness, friendship, and love, which can lead to a real, happy friendship or relationship. And as a result, this gives a positive emotional boost to that receiver. You never know how far a kind gesture can go. Personally, I have heard of numerous stories from first hand and second hand sources of how a small positive gesture (like sending a gift) saved people from getting stuck in depression, melancholy, and even suicide. A small, nice act can really go far…especially when it can be done via Huledet in a matter of seconds! Imagine now that you want to look for a gift for a loved one, let’s say your wife (or husband if applicable). Instead of traveling for hours checking out stores, shops, or even online stores, you can simply go on Huledet’s website, follow the short steps, and in literally 30 seconds, you can have a cool gift sent to that loved one on their birthday. And you only pay $0! No cash or credit card required whatsoever. So for 30 seconds of your time and for $0, you can send FREE birthday stuff to a person of your choice on their birthday. And that action can cause a positive ripple affect in numerous ways. The opportunities are endless and so beneficial for both you and the receiver of gifts. All without paying a dime! Ariel Baradarian, CCH is an experienced holistic certified homeopathic practitioner with success in addressing a wide variety of mental, emotional, and physical ailments in men, women, and children of all stripes. He works both alongside local medical and integrative doctors and their patients as well as with his own growing, global private practice, both in person in his office in Queens, NY and globally via video chat sessions. Ariel is also a natural health blogger and chief editor of naturalholistichomeopathic.com, which is dedicated to helping others heal on all levels using various types of natural healing, including homeopathy. In addition, he is the New York Producer of the Vibrant Living Network, an inspiring organization dedicated to promoting a community natural and holistic health, mindful consciousness, relational intelligence and more! Sign me up for the FREE newsletter! This is interesting. I’ve never heard of anything like this. I’m definitely going to try it out for my brother’s birthday which is coming up soon. He’s a tough one to buy for so this should be cool. I wonder what he’ll get. The word ‘free’ is always eye-catching! Maybe I’ll try this for my sister too since she’s having a surgery later in the month. That’s so sweet Gina! I also just signed up for it for my brother. Hope it works out well! Sign Up & Receive a FREE E-book, EXCLUSIVE Discounts on Products, & More! Any Contribution is Greatly Appreciated! Rated as a Top Health Blog for 2017! 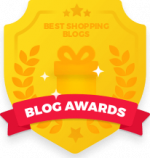 Rated Best Shopping Blog of 2018! Copyright © 2018 Refuah Homeopathy. All Rights Reserved. Then Sign Up For Our FREE Monthly Newsletter Below!